Spring has come on our spoon sushi. Beautiful sushi blooms with pink smoked salmon, fresh green shiso leaves with creamy mozzarella! Spring is the time for Hanami. 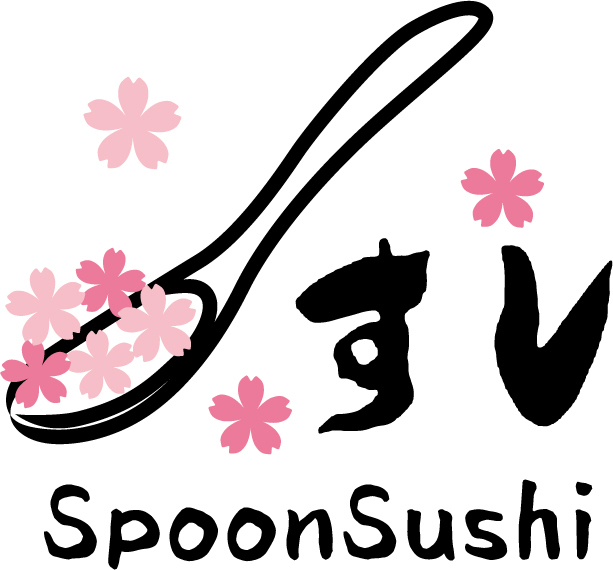 Let's bring this spoon sushi with you for the wonderful cherry-blossom viewing, perfect matching with Sake! Enjoy the combination of Shrimp TEMPURA and the rich taste of cheese! Add some Cucumber for a little bit of crunchiness. This is a SpoonSushi Recipe using some meat, but is flavorful for it has some Bell Peppers and Cheese.